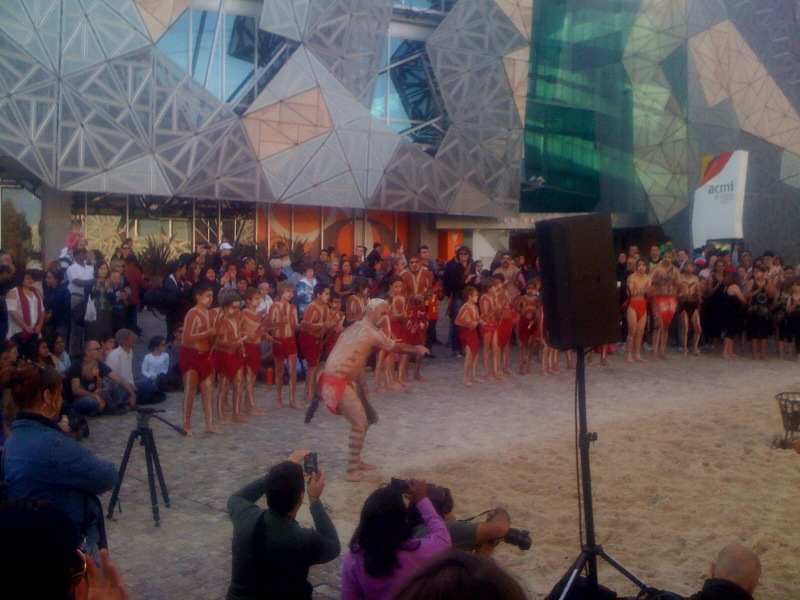 Took some pics of the Watjobaluk Dance Group from the Wimmera at Federation Square for The Long Walk build up to the “Dreamtime at the ‘G” AFL Game between Richmond and Essendon Football Club last Saturday Night. 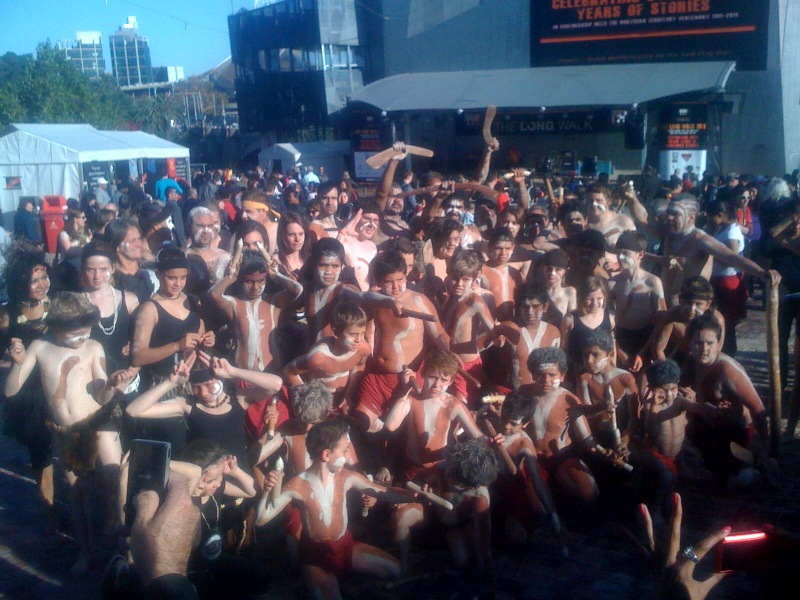 A highlight of The Long Walk 2011 was the introduction of the Koorioboree, a gathering of Indigenous dance groups from across Victoria. For the first time the Koorioboree brought together five groups to meet, dance and encourage the growing critical mass of Victorian Indigenous dance. My pictures feature Aaron Grambeau who does cultural education at Brambuk Cultural Centre at Halls Gap in Western Victoria. 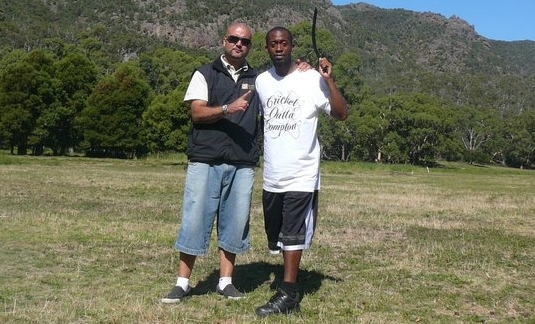 When we last met Aaron he was busy teaching Compton Cricket Club players about the indigenous history of the Gariwerd (Grampians) area and teaching the Los Angeles based crew how to throw a boomerang. Talk about ‘From Bullets to Balls’...to Boomerangs! I’ve faced a lot of short pitched fast bowling in my time but I have never been so scared at a cricket event as having the Compton CC Boys throw boomerangs!!! The kangaroos grazing nearby were untroubled! 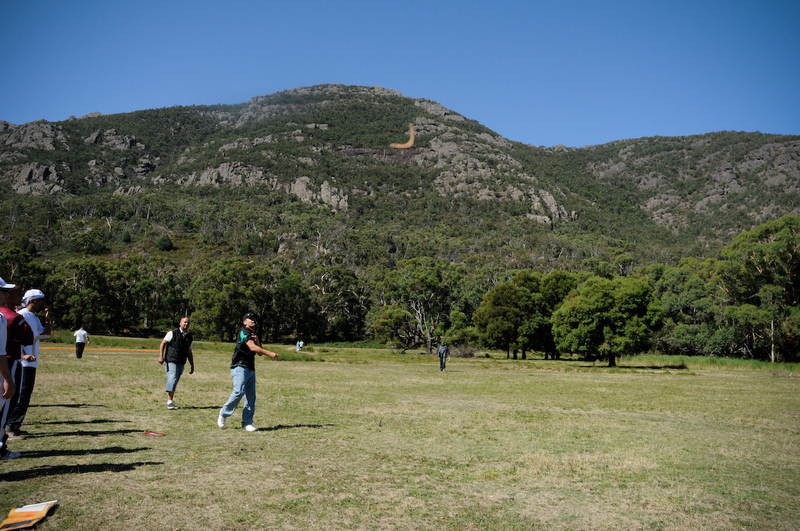 Aaron is a great communicator who really made the connections for the LA based cricketers about what their recent tour to Western Victoria to play the Johnny Mullagh XI meant in light of local history, present and future. Whilst the Compton boys are famous for getting a crowd moving with some LA, street based, gangsta style, hip hop…it was awesome to see Aaron and the five groups from across Victoria rocking the City of Melbourne with some rhythms that were home grown and truly ancient. Deadly!!! 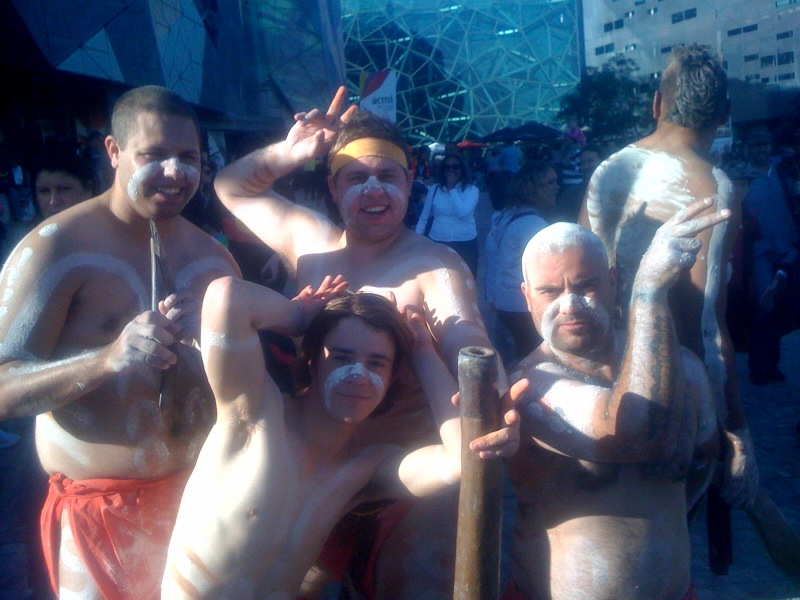 This entry was posted in Uncategorized and tagged compton cc, Dreamtime at the 'G, indigenous cricket, Johnny Mullagh, The Long Walk, Watjoboluk by marcuscurnow. Bookmark the permalink.